As part of THE TALK's ongoing focus on women's health, the daytime talk show partnered with "Ford Warriors in Pink" to raise awareness during Breast Cancer Awareness month airing Friday, October 5 (2:00-3:00 PM, ET; 1:00-2:00 PM, PT) on the CBS Television Network. The show featured a diverse audience of women who are all breast cancer survivors, and several survivors from the "Warriors in Pink" Models of Courage team shared their unique stories and experiences. 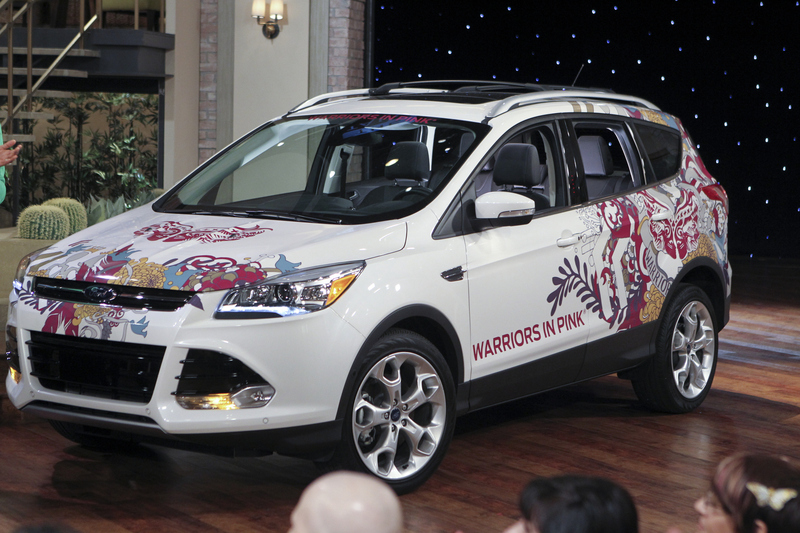 THE TALK will also gave away a 2013 "Warriorized" Ford Escape during the show taping. Photo: Monty Brinton/CBS©2012 CBS Broadcasting, Inc. All Rights Reserved.